The primary source of financial compensation after an auto accident is the car insurance policy of the at-fault driver involved in the accident. So, what do you do if the other driver has no car insurance or is underinsured? What if the other driver’s policy limits are lower than the amount of your medical bills and lost wages? If you are in an accident with a driver who is uninsured or underinsured, then you are strongly encouraged to seek assistance from the personal injury attorneys at Ginzkey Law Office to help you coordinate benefits under your own auto insurance policy. If your auto insurance policy includes uninsured motorist coverage (often called UIM coverage), then your own insurance should pay for any medical bills or other expenses that are not covered by the uninsured at-fault driver. Many drivers make a serious mistake if they find themselves in the position of having to file an uninsured motorist claim with their insurance company. They assume that their own insurance company will offer a full and fair payment. Unfortunately, this is often not the case. 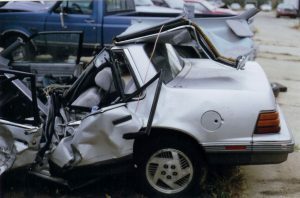 The attorneys at Ginzkey Law Office, located in Bloomington, Illinois, have more than 30 years’ experience representing victims of car accidents. Our primary goal is to help our clients obtain proper and just compensation after an injury accident – whether that requires going after our client’s own insurance company, the at-fault driver’s insurance company or both. Don’t make the mistake of assuming that your insurance company has your best interests at heart. If you have been in a car accident with an uninsured or underinsured motorist, the wise move is to contact an independent personal injury lawyer as soon as possible for advice on how to proceed. Attorneys James P. Ginzkey and Chase T. Molchin will review the circumstances of the accident, along with your medical records and other evidence of your financial losses. Working as necessary with medical and economic experts, we will build a complete picture of your losses and present your insurance company with a strong case on your behalf.